Seize the deal before it’s gone. 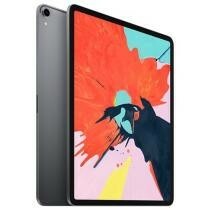 Check out $5 off Apple 12.9" iPad Pro Wi-Fi 64GB Space Gray at MacMall now. Find more discounts and offers from MacMall just at CouponAnnie in April 2019. Seize the deal before it’s gone. Check out Lenovo Tab 4 10 Plus 10" 64GB Android Tablet at Rakuten now. Find more discounts and offers from Rakuten just at CouponAnnie in April 2019. Seize the deal before it’s gone. 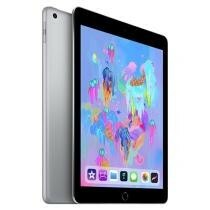 Check out $5 off Apple iPad Wi-Fi 128GB - Space Gray at MacMall now. Find more discounts and offers from MacMall just at CouponAnnie in April 2019. Seize the deal before it’s gone. 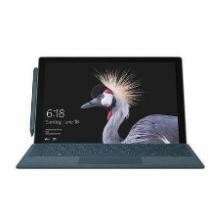 Check out $200 off Surface EBook 2 at Microsoft Store now. 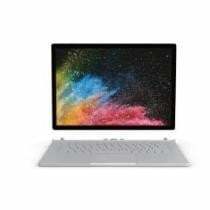 Find more discounts and offers from Microsoft Store just at CouponAnnie in April 2019. Seize the deal before it’s gone. 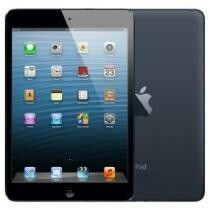 Check out $30 off Apple iPad Wi-Fi + Cellular 128GB - Space Gray (MR7C2LL/A) 41072751 + Free Shipping at MacMall now. Find more discounts and offers from MacMall just at CouponAnnie in April 2019. Seize the deal before it’s gone. Check out $5 off Apple 15.4" MacBook Pro w/ Retina display + Free Shipping at MacMall now. Find more discounts and offers from MacMall just at CouponAnnie in April 2019. Seize the deal before it’s gone. Check out 65% off iView Suprapad 8.95 Inch Refurbished Tablet at Daily Sale now. Find more discounts and offers from Daily Sale just at CouponAnnie in April 2019. Seize the deal before it’s gone. 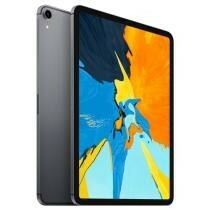 Check out $5 off Apple 11-inch iPad Pro Wi-Fi Cellular 64GB Space Gray at MacMall now. Find more discounts and offers from MacMall just at CouponAnnie in April 2019. I remember buying the newest iPad Pro not that long ago for about $749. At the time it was a great deal, but not as good as this one. The iPad Pro features an 11" Liquid Retina display, 10 hours of battery on a single charge, A12X Bionic chip and more. It usually sells for $799.99, but you can get it today for just $699.99 with free shipping. 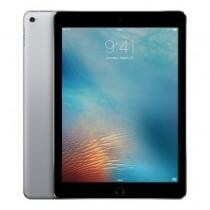 Save $80 off the latest model of 32GB Apple iPad from Best Buy. The gold, space gray and silver are all this price. This iPad has a 9.7" multi-touch Retina display, A10 Fusion chip and it supports the new Apple Pencil. Seize the deal before it’s gone. 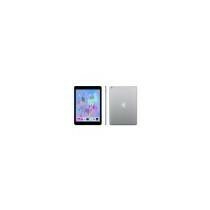 Check out 30% off Apple iPad Pro 10.5 Inch Tablet + Free Shipping at eBay now. Find more discounts and offers from eBay just at CouponAnnie in April 2019. Seize the deal before it’s gone. 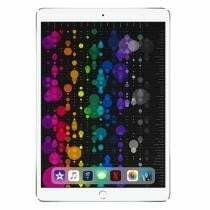 Check out 68% off Apple iPad Pro 12.9 Inch Refurbished Tablet at Daily Sale now. Find more discounts and offers from Daily Sale just at CouponAnnie in April 2019. Seize the deal before it’s gone. 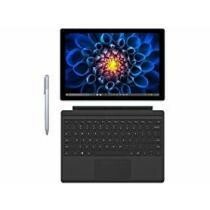 Check out Microsoft Surface Pro 3 12 Inch Refurbished Tablet Bundle Now $499.99 at Woot! now. Find more discounts and offers from Woot! just at CouponAnnie in April 2019. Seize the deal before it’s gone. 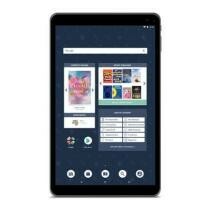 Check out 34% off Samsung Galaxy Tab E Lite 7 Inch 8GB Tablet at Walmart now. Find more discounts and offers from Walmart just at CouponAnnie in April 2019. Seize the deal before it’s gone. 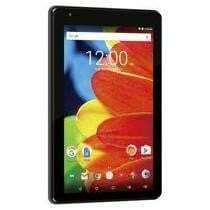 Check out 20% off RCA Voyager 7 Inch 16GB Tablet at Walmart now. Find more discounts and offers from Walmart just at CouponAnnie in April 2019. Seize the deal before it’s gone. Check out 33% off Apple iPad Pro 10.5 Inch Tablet + Free Shipping at eBay now. Find more discounts and offers from eBay just at CouponAnnie in April 2019. Seize the deal before it’s gone. 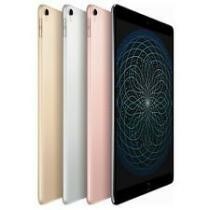 Check out 68% off iPad Pro 9.7 Inch Refurbished Tablet at Daily Sale now. Find more discounts and offers from Daily Sale just at CouponAnnie in April 2019. Seize the deal before it’s gone. 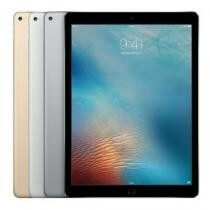 Check out $5 off Apple 11 Inches iPad Pro Wi-Fi + Cellular 1TB Silver at MacMall now. Find more discounts and offers from MacMall just at CouponAnnie in April 2019. Seize the deal before it’s gone. 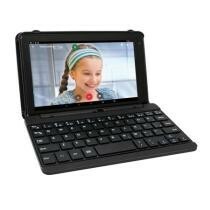 Check out 36% off RCA Voyager 7" 16GB Tablet w/ Keyboard Case at Walmart now. Find more discounts and offers from Walmart just at CouponAnnie in April 2019. Seize the deal before it’s gone. Check out 5% off Apple 11" iPad Pro Wi-Fi 1TB Silver at MacMall now. Find more discounts and offers from MacMall just at CouponAnnie in April 2019. Seize the deal before it’s gone. 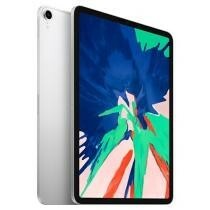 Check out $90 off Apple 11-inch iPad Pro Wi-Fi + Cellular 1TB Silver at MacMall now. Find more discounts and offers from MacMall just at CouponAnnie in April 2019. Seize the deal before it’s gone. 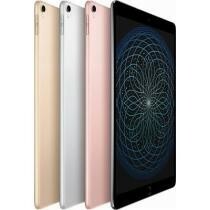 Check out $5 off Apple 10.5-Inch iPad Pro Wi-Fi 64GB - Rose Gold at MacMall now. Find more discounts and offers from MacMall just at CouponAnnie in April 2019. Seize the deal before it’s gone. 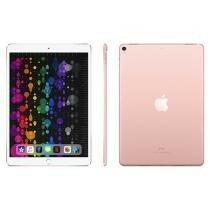 Check out $10 off Apple iPad Wi-Fi 32GB in Gold at MacMall now. Find more discounts and offers from MacMall just at CouponAnnie in April 2019. Seize the deal before it’s gone. Check out $5 off Apple 11-inch iPad Pro Wi-Fi 64GB in Space Gray at MacMall now. Find more discounts and offers from MacMall just at CouponAnnie in April 2019. Seize the deal before it’s gone. Check out $5 off Apple 11" iPad Pro Wi-Fi + Cellular 256GB Space Gray at MacMall now. Find more discounts and offers from MacMall just at CouponAnnie in April 2019. Seize the deal before it’s gone. 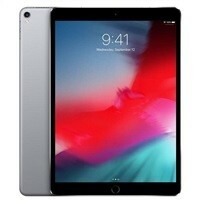 Check out $5 off Apple 11-Inch iPad Pro Wi-Fi 256GB - Silver at MacMall now. Find more discounts and offers from MacMall just at CouponAnnie in April 2019. Seize the deal before it’s gone. 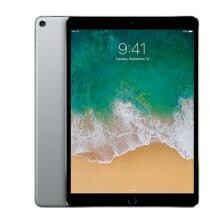 Check out $5 off Apple 11 Inch iPad Pro Wi-Fi 64GB in Silver at MacMall now. Find more discounts and offers from MacMall just at CouponAnnie in April 2019. Seize the deal before it’s gone. Check out 5% off Apple 11" iPad Pro Wi-Fi + Cellular 64GB Space Gray at MacMall now. Find more discounts and offers from MacMall just at CouponAnnie in April 2019. Seize the deal before it’s gone. 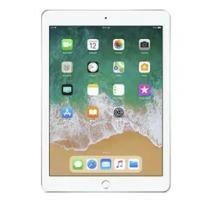 Check out $5 off Apple 10.5" iPad Pro Wi-Fi + Cellular 512GB Silver at MacMall now. Find more discounts and offers from MacMall just at CouponAnnie in April 2019. Seize the deal before it’s gone. 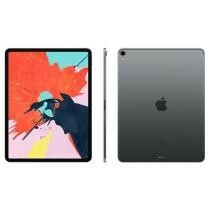 Check out $70 off Apple 12.9-Inch iPad Pro Wi-Fi 512GB - Space Gray at MacMall now. Find more discounts and offers from MacMall just at CouponAnnie in April 2019. Seize the deal before it’s gone. 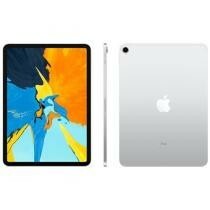 Check out 3% off Apple iPad Wi-Fi 32GB Space Gray at MacMall now. Find more discounts and offers from MacMall just at CouponAnnie in April 2019. Seize the deal before it’s gone. 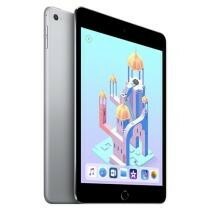 Check out $10 off Apple iPad mini 4 Wi-Fi 128GB - Space Gray at MacMall now. Find more discounts and offers from MacMall just at CouponAnnie in April 2019. Seize the deal before it’s gone. 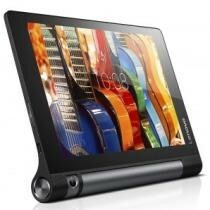 Check out 68% off Lenovo Yoga Tab 3 8 Inch WXGA Refurbished Tablet at Daily Sale now. Find more discounts and offers from Daily Sale just at CouponAnnie in April 2019. Seize the deal before it’s gone. 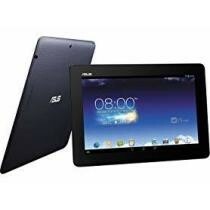 Check out Asus MeMO Pad 10.1 Inch Refurbished Tablet Now $54.99 at Woot! now. Find more discounts and offers from Woot! just at CouponAnnie in April 2019. Seize the deal before it’s gone. 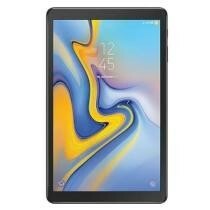 Check out $50 off Samsung Galaxy Tab A 7" Tablet at The Source now. Find more discounts and offers from The Source just at CouponAnnie in April 2019. Seize the deal before it’s gone. 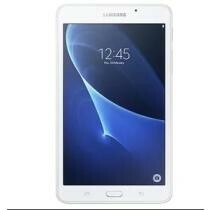 Check out 21% off Samsung Galaxy Tab E Lite 7 Inch 8GB Tablet at Walmart now. Find more discounts and offers from Walmart just at CouponAnnie in April 2019. Seize the deal before it’s gone. 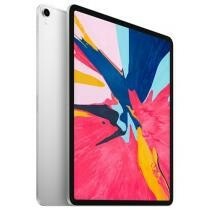 Check out $50 off Apple 12.9 Inch iPad Pro Wi-Fi 64GB in Silver at MacMall now. Find more discounts and offers from MacMall just at CouponAnnie in April 2019. If you are lucky enough to have one of these stores in your area, Micro Center is taking $150 off the latest model iPad Pro. Order online and pick up at your local store to get in on this deal. Seize the deal before it’s gone. 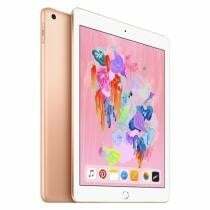 Check out $5 off Apple 10.5'' iPad Pro Wi-Fi Plus Cellular 256GB Gold + Free Shipping at MacMall now. Find more discounts and offers from MacMall just at CouponAnnie in April 2019. Seize the deal before it’s gone. Check out 77% off Apple iPad Air 2 Refurbished Tablet at Daily Sale now. Find more discounts and offers from Daily Sale just at CouponAnnie in April 2019. Seize the deal before it’s gone. 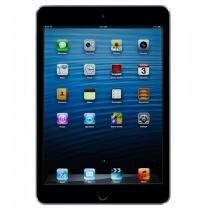 Check out 87% off Apple iPad Mini 16GB Refurbished Tablet at Daily Sale now. Find more discounts and offers from Daily Sale just at CouponAnnie in April 2019. Seize the deal before it’s gone. 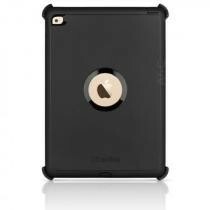 Check out 89% off Black OtterBox iPad Air 2 Defender Series Case & Stand at A4c now. Find more discounts and offers from A4c just at CouponAnnie in April 2019. Seize the deal before it’s gone. 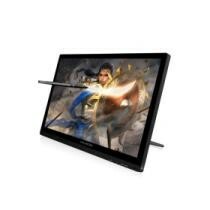 Check out 56% off Huion GT-191 8192 Pen Pressure 19.5 Inch Interactive Pen Display HD Drawing Tablet Monitor at Newegg now. Find more discounts and offers from Newegg just at CouponAnnie in April 2019. Seize the deal before it’s gone. 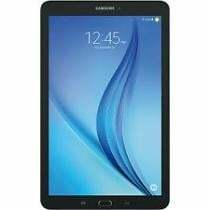 Check out 73% off Samsung Galaxy Tab E 8 Inch Refurbished Tablet + Free Shipping at eBay now. Find more discounts and offers from eBay just at CouponAnnie in April 2019. Seize the deal before it’s gone. 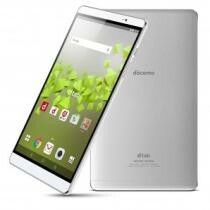 Check out 39% off Alldocube Cube M5 XS 3GB RAM 32GB ROM 4G LTE Phablet at GeekBuying now. Find more discounts and offers from GeekBuying just at CouponAnnie in April 2019. Seize the deal before it’s gone. 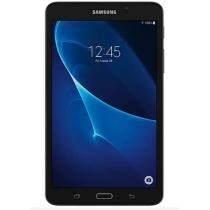 Check out $50 off Samsung Galaxy Tab A 7.0" 8GB Wi Fi + Free Shipping at Samsung now. Find more discounts and offers from Samsung just at CouponAnnie in April 2019. Seize the deal before it’s gone. 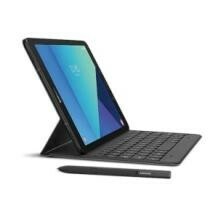 Check out $100 off Samsung Tab S3 + Free Pair U Flex Headphones + Free Shipping at Samsung now. Find more discounts and offers from Samsung just at CouponAnnie in April 2019. 8% off New NOOK Tablet 10.1"
Seize the deal before it’s gone. Check out 8% off New NOOK Tablet 10.1" at Barnes & Noble now. Find more discounts and offers from Barnes & Noble just at CouponAnnie in April 2019. Seize the deal before it’s gone. 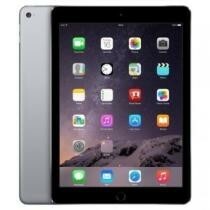 Check out Apple iPad Mini 3 7.9 Inch Refurbished Tablet Now $299.99 at ITechDeals now. Find more discounts and offers from ITechDeals just at CouponAnnie in April 2019. Seize the deal before it’s gone. 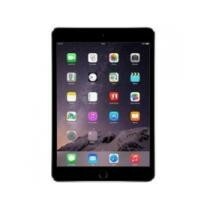 Check out $420 off Refurbished Apple iPad Mini 3 7.9" Retina Display WiFi 64GB Tablet Space Gray at Newegg now. Find more discounts and offers from Newegg just at CouponAnnie in April 2019. Seize the deal before it’s gone. 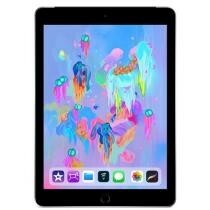 Check out $80 off iPad 9.7" 32GB Wi-Fi at The Source now. Find more discounts and offers from The Source just at CouponAnnie in April 2019. Seize the deal before it’s gone. 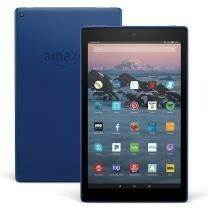 Check out 20% off Amazon Fire 7 Tablet w/ Alexa at Priceplunge now. Find more discounts and offers from Priceplunge just at CouponAnnie in April 2019. Seize the deal before it’s gone. Check out 52% off Samsung Galaxy Tab A 10.1 Inch 16GB Android Tablet at Priceplunge now. Find more discounts and offers from Priceplunge just at CouponAnnie in April 2019. Seize the deal before it’s gone. Check out 86% off Huawei Dtab Compact D-02H Wi-Fi 16GB Tablet at Daily Sale now. Find more discounts and offers from Daily Sale just at CouponAnnie in April 2019. Includes new battery and one-year warranty. Seize the deal before it’s gone. 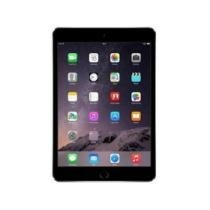 Check out 70% off Space Gray Apple iPad Air 2 w/ Wi-Fi Cellular 64GB at ITechDeals now. 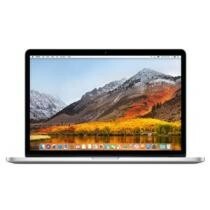 Find more discounts and offers from ITechDeals just at CouponAnnie in April 2019. Seize the deal before it’s gone. 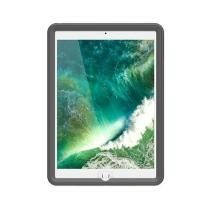 Check out Otterbox UnlimitEd for iPad 5th Gen & 6th Gen Slate Grey Now $45.98 at MacMall now. Find more discounts and offers from MacMall just at CouponAnnie in April 2019. Seize the deal before it’s gone. 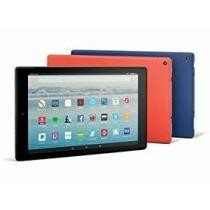 Check out Amazon Fire HD 10.1 Inch Refurbished Tablet Now $89.99 at Woot! now. Find more discounts and offers from Woot! just at CouponAnnie in April 2019. Seize the deal before it’s gone. 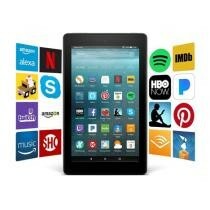 Check out Amazon Fire 10" HD Tablets 32GB Alexa Hand-Free w/ Custom Case 2 Pack Now $194.92 at QVC now. Find more discounts and offers from QVC just at CouponAnnie in April 2019. * Tax in NJ, NY. Seize the deal before it’s gone. Check out $120 off Galaxy Tab A 10.1" 16GB Wi-Fi + Free Shipping at Samsung now. Find more discounts and offers from Samsung just at CouponAnnie in April 2019. Seize the deal before it’s gone. Check out $50 off Samsung Galaxy Tab A 10.5" 32GB - Black + Free Shipping at Samsung now. Find more discounts and offers from Samsung just at CouponAnnie in April 2019. Turn your home into a smart home with the help of this Lenovo 8" Smart Display with Google Assistant from Lenovo. It's bundled with a Lenovo Smart Bulb or Lenovo WiFi Smart Plug for $100. Shipping is free. Note, do get the deal you have to scroll to the bottom of the page, select "add bundle to cart" under your preferred bundle, then select "activate" at checkout. Shipping is free. Also, if the "activate" button doesn't appear at checkout, use coupon code "LSD8BULB" or "LSD8PLUG" to get the bulb or plug. Want to save a ton of money? 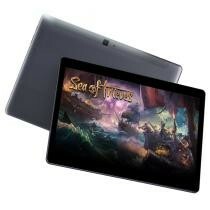 Check out Couponannie’s vast selection of Tablets deals 2019. 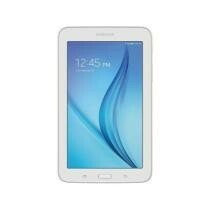 Find the best Tablets products for less. 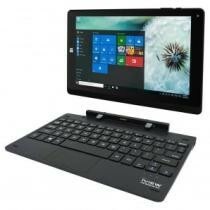 On this Tablets deals page, you can easily narrow your search and get the best deals by category, store, brand and price. There's a nice picture of each product and key discount information, including the original price, sale price and price drop percentage that tell you whether this deal is worthwhile. Check them out to spend less money. Here at Couponannie, you can find all things related to Tablets at lowest prices, including Apple iPad, 2-in-1s, 4G LTE Tablets, Kids' Tablets, Refurbished Tablets, iPad & Tablet Accessories, Microsoft Surface, Samsung Galaxy, Insignia™ Tablets, and many more. Shop some of the best Tablets offers to save more than ever. At Couponannie, you'll find amazing Tablets deals from top stores like Apple Store, Creative Technology, M-Edge Store, Touchfire, BestMid, DroidPad, LATTE ZONE, SKYTEX, Idolian, Best Buy, Newegg, Dell, Monoprice, HP, Lenovo, TigerDirect, GearBest, Micro Center, CowBoom, hhgregg, BuyDig, Crutchfield, Samsung Electronics, Sony Store, and many more. If you shop online, make sure you read the return and exchange policies on retailers' sites. And to make sure you're getting a good Tablets deal, search Couponannie for a coupon code or promo code that will let you save some extra bucks. But exclusions may apply sometimes, and discount applies to selected products or categories. Read them carefully, too. 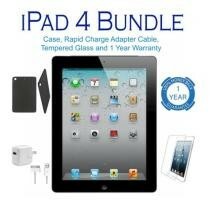 No matter what Tablets items you need, Couponannie can help you save on it. Just click on any retailer to see its latest Tablets deals 2019 and stack more savings on all your purchases!